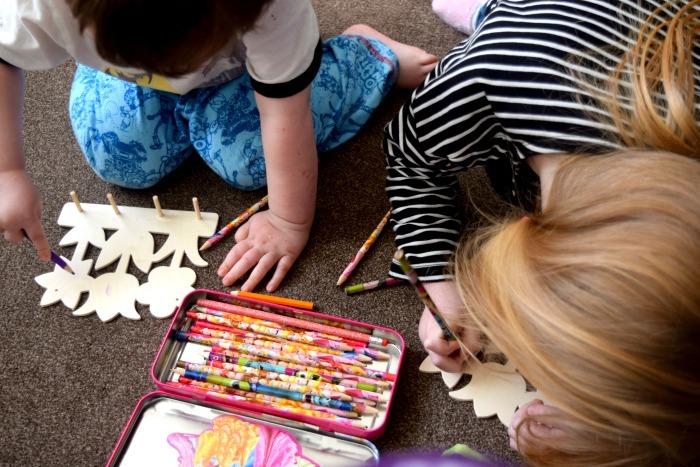 With Mother's Day approaching, we were sent some more fun and easy activities for the kids to make some cute gifts. I adore home made gifts and I love to see their proud faces when showing me their creations so we had so much fun making up some gifts for various loved ones. 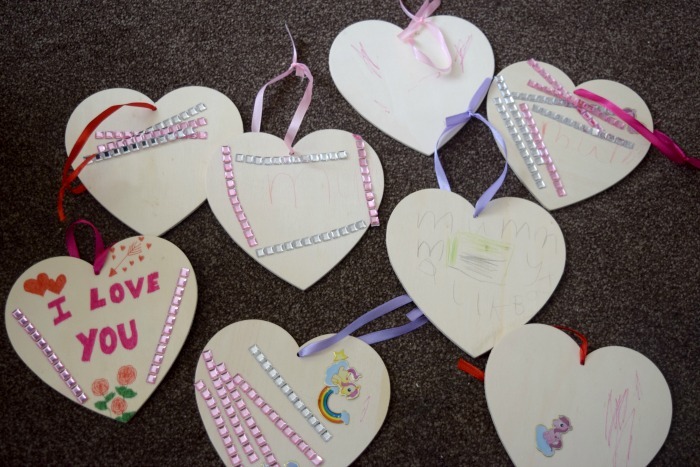 These Wooden Heart Decorations were a great fun and easy activity for the kids. They can be used with felts, crayons, glitter, stickers or pretty much anything you have available? They come in a pack of 8 for £2.96. The kids had so much fun with these and got very creative with drawing nice pictures and adding sparkles and ponies. These Flower wooden Key Holders are great for Mother's Day or teacher gifts. The kids coloured these in lovely. Zach made one for his Nanny as we already have a key holder and Gracie decided to make hers for her teachers to keep in their classroom. A pack of 3 wooden key holders costs £3.45 and is such a simple and fun activity. 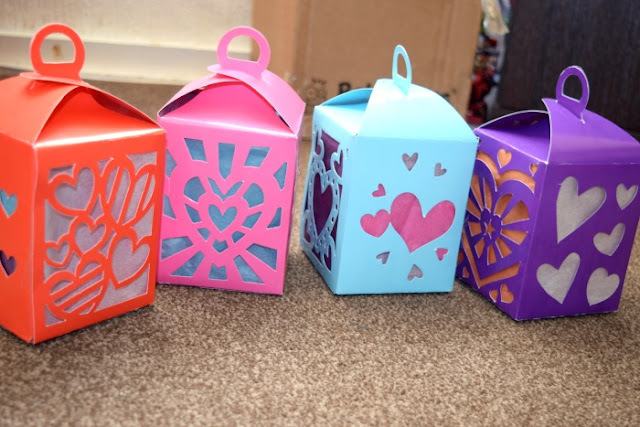 The Heart Lantern Kits were my favourite out of our latest box. They are slightly more complicated and will more than likely need some adult help. They are quite easy for adults you simply need to fold them properly and attach tissue paper in your choice colours from the variety included. The kids had fun helping to removed the shapes before I folded for them. Then they chose the colours to add. You could be really creative and cut the tissue paper up to make colourful patterns on each side but we decided to make ours simplistic and pretty. These would look really cute with a small battery operated tea light inside or could even be used to but chocolates or small gifts inside! They come in a pack of 4 for £3.49. *We received the items featured free of charge for the purpose of this review.